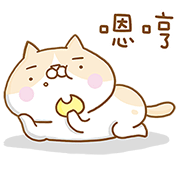 http://www.line-stickers.com/ – 8.6 sec Bazooka Line Sticker | The hit comedy duo “8.6sec Bazooka” is now on LINE! This set features the side-splitting combo quipping hilarious hits like “Rassun Gorerai” and more! Download the set today and recreate your favorite comedic memories with your friends.